Mark Twain and Thomas Jefferson came together to put their stamp on the new school by signing one of the steel beams. 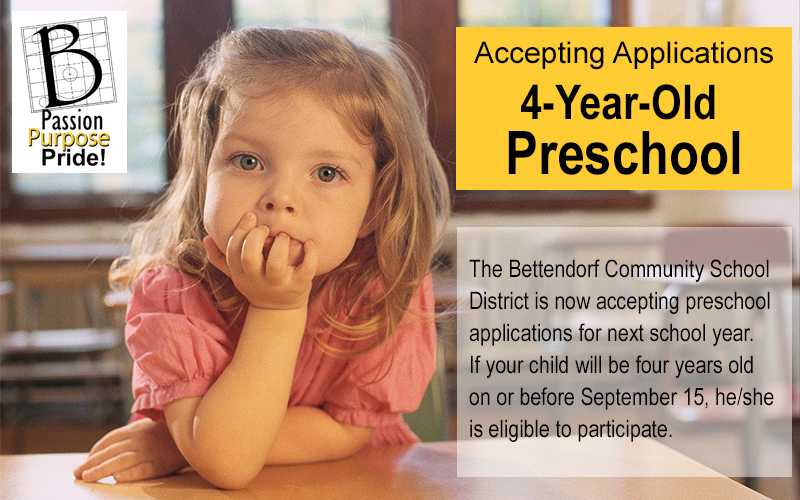 We are now accepting applications for 2019-2020 4-Year-Old Preschool. If you see something. Say something. Public safety is everyone's responsibility. 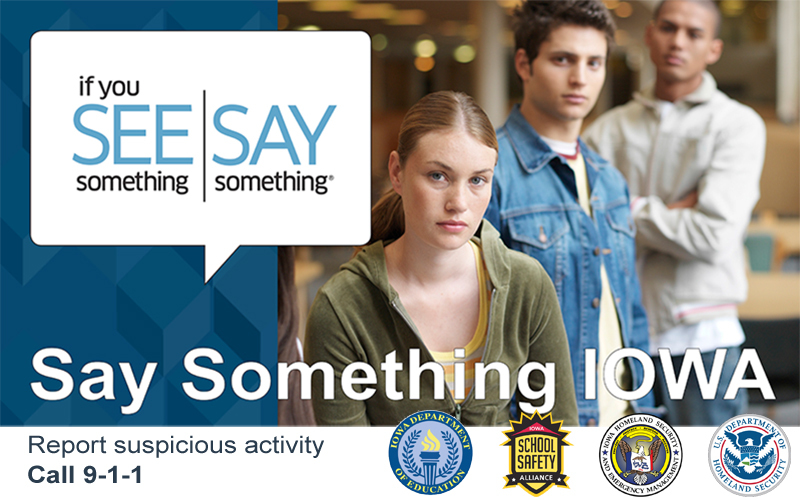 If you see suspicious activity, report it. Do you know someone who is looking for a part-time position supporting student learning? Paul Norton Elementary, Herbert Hoover Elementary and Bettendorf High School were on a short lockdown this morning. The lockdown was at the request of the Bettendorf Police due to an incident in the community. The lockdown is over. The incident was in the community and not directly related to any of our schools. Our schools have resumed their normal day. Fourteen BCSD 5th & 6th-grade students were selected to take part in the Coe College Honor Band. On Friday, April 12, PN hosted their annual Young Writers Conference. We would like to know how we are doing and where we can improve. Link to the minutes and audio for the April 1 board meeting. Please join us in thanking our associate principals for all they do! ​The district wellness meeting will be held on Tuesday, April 23 at 3:00 PM at the district administration office. Board approves the 2019-2020 levy rate of $13.06 per $1,000 taxable valuation, a $0.90 decrease. ​The new school being built on the Mark Twain campus will remain named Mark Twain Elementary. Inviting 4th - 6th grade students to see what show choir is all about. Check out the agenda for the Monday, April 1, board committee of the whole meeting. Just a reminder that Thursday is a regular school day and Friday is a NO SCHOOL day. Link to the minutes and audio for the March 4 board meeting. Dance Marathon to benefit Children's Miracle Network - more than just dancing! Link to the minutes and audio for the March 18 board meeting. Check out the agenda for the Monday, March 18, school board meeting. Join the Neil Armstrong PTA for Trivia Night on Friday, March 22. Congratulations to all our students who took part in the 2019 Battle of the Books competition! Congratulations to all our National History Day Competition participants! BCSD 5th & 6th grade band students performed with the State Young Musician’s Honor Band on February 16. Link to the minutes and audio for the Feb. 19 board meeting. Congratulations to the BCSD Employees of the 2nd Quarter! The BMS library media center has introduced a “Read & Ride” option in the library. The Bettendorf Community School District proudly presents The Moxie Strings with special guests Bettendorf Orchestras! The 2019-2020 School Year Calendar is now available! Congratulations to Bob Connelly and Rhonda Nelson for being selected at the BCSD Employees of the 1st Quarter! The referendum was declined by voters with 35.6% of the vote for and 64.4% against the proposed property tax increase. Bettendorf High School recently ranked #25 in the Iowa AP Index for the Top 50 Schools. 57 Students Earn AP Scholar Awards. The Donald A Schaefer Planetarium will be showing their annual Christmas Star program Dec. 10-16 at 7 pm. Please be mindful of the responsibility each of us has in promoting a safe, supportive school district. Congratulations to our BCSD 7th-9th-grade students for being selected to participate in Iowa Junior Honors Orchestra 2018! Thirteen BHS music students were selected for the 2018 All-State Music Festival Concert - Saturday, Nov. 17. BCSD 4th & 5th-grade ELP students working together to explore advanced math, science, language arts and engineering concepts. Come into the Chipotle at 5270 Elmore Avenue Suite 3 in Davenport on Monday, Nov. 12 and help support Thomas Jefferson. October 22-26 is National School Bus Safety Week! Please join us in honoring our transportation staff for all they do. The district will be selling used iPads Friday, October 26, 8-10 am at Bettendorf High School. Congratulations to BHS Senior Matthew Garside for being named the Individual Golf State Champion! 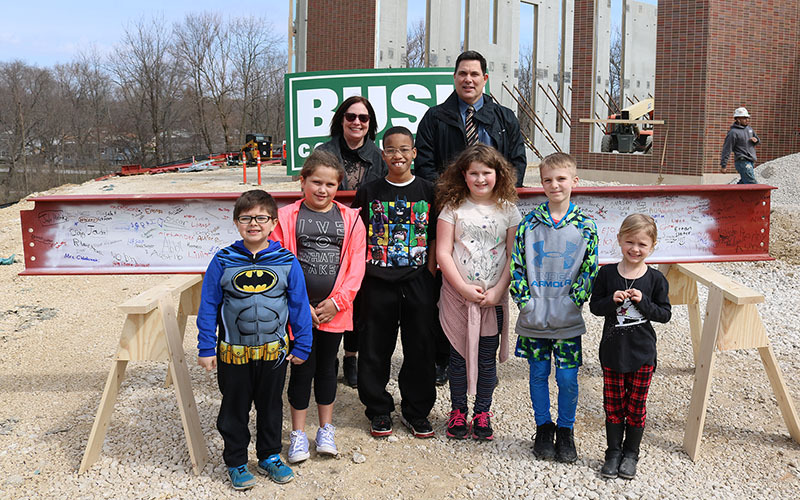 On Thursday, Oct. 4, Mark Twain Elementary hosted a groundbreaking ceremony for the construction of their new school. Please join us this October in honoring the hard work and dedication of our principals! Getting students as involved as possible as the teacher facilitates the experience and interacts with the groups. Join us for a fun-filled math learning night with learning stations to explore ways to support your student with math. Join the Thomas Jefferson PTA for a trivia night to benefit Bettendorf Community Schools Outreach Program. Join us on Thursday, September 13, for Challenge 5 Perfect Attendance Day! John Deere BERG and Bettendorf High School staff coordinated a career event for area high school sophomores. 2018 BHS Homecoming t-shirt order forms are now available! Order by Sept. 11. BCSD will conduct a public hearing for the New Mark Twain Elementary School construction project. No school Monday, Sept. 3 in honor of Labor Day. Enjoy your holiday weekend! ​North Scott Junior High has been on lockdown this morning (Aug. 31). We are aware of and monitoring the situation. 4th-grade students can now begin signing up for orchestra! A group of teachers attended a National History Day workshop hosted by the Iowa State Historical Society. The district hosted a ribbon cutting and open house for the new Grant Wood Elementary School on Aug. 21. Plans are underway for the new 3-section school at Mark Twain Elementary School. Check out the designs! Directors approved a motion to close Thomas Jefferson and consolidate the TJ students with Mark Twain Elementary. Please join us for the Ribbon Cutting & Open House for the new Grant Wood Elementary School. The district is looking for representatives to serve on the BCSD School Improvement Advisory Committee. ​Come show off your smarts at BMS Trivia Night on Oct. 6 at 7 pm at the Knights of Columbus. Superintendent Raso is proposing a consolidation of Thomas Jefferson Elementary with the new Mark Twain Elementary.